Anukul Roy finished as the joint highest wicket-taker of the World Cup 2018. 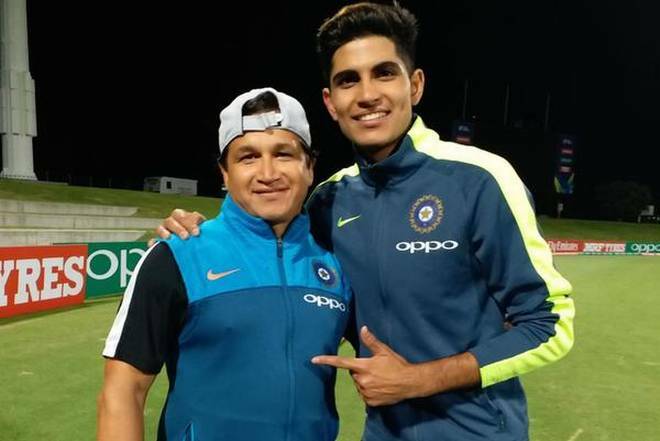 India U19 left-arm spinner –Anukul Roy, who was one of the architects in India U19's World Cup 2018 triumph in New Zealand, revealed how the interactions with MS Dhoni helped him throughout the mega ICC event and become a better player. The 19-year-old finished as the joint highest wicket-taker of the World Cup with 14 wickets (1/36, 5/14, 4/20, 1/14, 1/11 and 2/32) in six games at a stupendous average of 9.07. Before the World Cup, Anukul Roy was in doubt whether he will board the flight to New Zealand or not, because of an ankle injury, but Rahul Dravid and the team Management backed him and he repaid their faith with his brilliant performances in the tournament. Although, the Jharkhand-born is yet to meet MS Dhoni after World Cup win, but said his advice has played a key role in his success in the prestigious ICC tournament. Now, he is looking forward to do well in the Vijay Hazare Trophy 2018 for Jharkhand. India went on to win their fourth U19 title as India went on to better Australia in the final with Anukul chipping in with two wickets.